The CRUZ stroller paired with an Infant Car Seat delivers a Performance Travel System that is the ultimate in portability and safety. No need to sacrifice performance for convenience. The CRUZ is also compatible with select Chicco® and Maxi-Cosi® infant car seats with our adapters (sold seperately). Stands when folded. Super easy and intuitive. The stroller can be folded with or without the seat attached, saving time for other things like cleaning up spilt milk and fixing hair bows. Baby is ready to hit the road but needs a bit of extra support. Our infant snug seat accessory allows your infant to rest comfortably and supported in the CRUZ toddler seat. 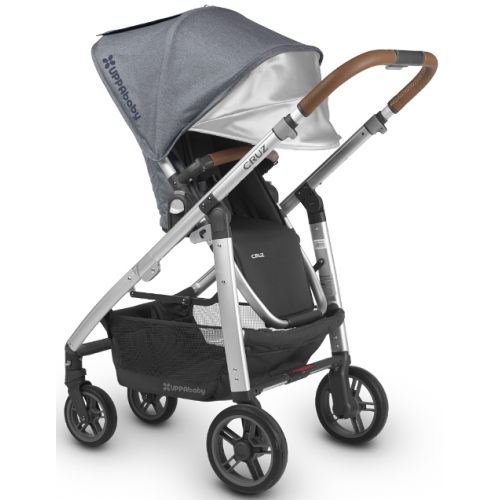 For a lay flat option, the CRUZ converts to a pram with our versatile bassinet accessory that is approved for overnight sleeping. It’s an ideal place for your newborn to nap while out for a stroll. 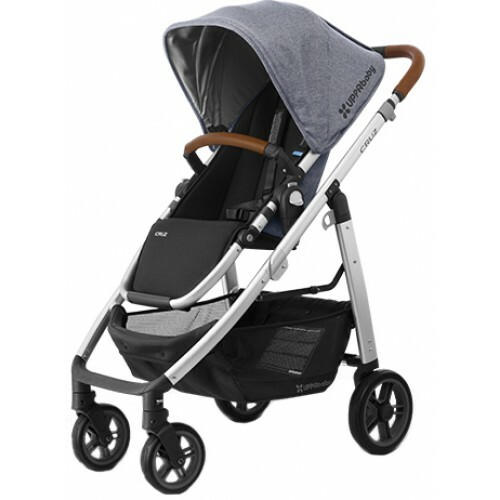 Designed with infants in mind, the SnugSeat provides extra comfort and stability for your baby’s neck and back when strolling. Must be used with toddler seat fully reclined. Included Bug Shield and optional Rain Shield protect your baby from bugs and the elements. Our full-size toddler seat is built to match your child’s developing size and curiosity. Your toddler can ride forwards, backwards, completely upright, fully reclined and anywhere in between so your adventurous little one doesn’t miss a thing. Our adjustable handlebar makes it easy for drivers of varying heights to each enjoy pushing baby.